Once there, enter your e-mail address and password. Then select Vermont and Food Works as your market. Once you have made it into the market you can shop as you would any online store. Add items to your basket and check out when you are done. You can update your orders until Monday morning at 8 am for a Wednesday delivery. Any orders received after this time will default to the next week. When you pick up your food an official invoice will be in the box. Invoices are expected to be paid within 30 days of delivery. Invoices not paid within 30 days of delivery will incur a 1% interest charge every month that they are unpaid. Great for busy families! Featured again for those who missed it last week.. Bon appetit! 1. Combine pasta, tomatoes, onion, garlic, red-pepper flakes, basil, oil, 2 teaspoons salt, 1/4 teaspoon pepper, and water in a large straight-sided skillet. Bring to a boil over high heat. Boil mixture, stirring and turning pasta frequently with tongs, until pasta is al dente and water has nearly evaporated, about 9 minutes. 2. Season to taste with salt and pepper, divide among 4 bowls, and garnish with basil. Serve with oil and Parmesan. If you find yourself missing one of our old recipes from the recipe of the week column and can’t find the archive, let us know! We can bring it up for you. Log in to order local, fresh, nutritious food! Sustainably grown, raised and produced! Meats, cooking oils, grains, fresh veggies and more! There are so many new items up on our market this week, get excited for turnip greens, paste tomatoes, heirlooms, new potatoes both gold and red, and hot peppers! It seems our last newsletter went to the spam folder, if you were one of the unlucky bunch who missed our updates last week log into the market and then click here to read it. You may also hover over newsletter from our main market page, then hover over archive newsletters, and click any of our old newsletters from the drop down. This newsletter included very important updates! To prevent this happening in the future, simply go into your spam folder, find our newsletter and open it. At the top of the newsletter there is a button called “not spam”. Click that and the newsletter will be moved to your inbox, and it should prevent future newsletters from ending up there aswell. Log in to the market now to place an order for next Wednesday. The market is always open! We will be accepting orders for August 14th until the cutoff on Sunday night at 11 pm. After which the market will remain open for you but orders will default to the next week. - Buying clubs are now being asked to meet a $50 minimum to have their orders shipped out on the truck. Don’t fear! If your buying club does not meet this minimum, you are encouraged to still order as an individual, but will need to make time to pick up your order yourself at 5 Home Farm Way in Montpelier. If you have any concerns about picking up on time please don’t hesitate to call 223.7700 or email Ariel at [email protected]. Thank you for your participation! - If you have not registered, do not know how to register, or do not remember your password, please e-mail [email protected] to get that resolved. [email protected] is no longer a functioning email. Sorry for any confusion! Please forward any questions/comments/concerns to [email protected] Thank you! Wellspring Farm is owned and managed by farmer Mimi Arnstein (pronounced “Mi-mee”; rhymes with “Jimmy”). Mimi has been growing organically for CSA & wholesale markets for over 10 years. 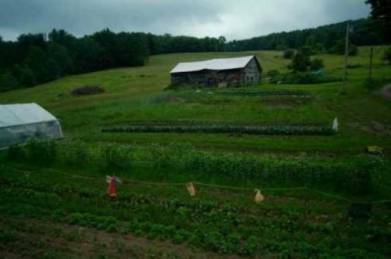 She serves on the board of NOFA-VT and the Vermont Vegetable and Berry Growers Association. Can also be ordered by the head. FEATURE INVENTORY Baby Rainbow Chard, Limited Quantity! Description: Templeton Farm Grade A Medium Amber or Vermont Grade B Maple Syrup! It's been said that true Vermonters prefer Grade B.. If you don't see the grade you'd like in the quantity you'd like it in, let us know! All it takes is one email or phone call. Description: Locally sourced, sustainably raised, amazing fresh eggs! Yum!